FBR’s recent decision of valuation of the immovable properties is one of the most talk-about topics in the real estate market at the moment. Some people believe that this latest happening will result as the boom of dropping market while others believe that this decision is likely to further depress the real estate market that is already suffering from a severe cut in the transactions after the ban on non-filers to buy property above Rs5 million. According to a property dealer in DHA Lahore, the current decision would create more hurdles for the general public. He reveals that before the government imposed a ban on non-filers to purchase property worthing over Rs5 million, there were almost 200 transactions in DHA on daily basis. Each of these transactions contributes hundreds of thousands of rupees for the federal and provincial governments, as well as for the housing societies. After the ban on non-filers, these transactions fell down to just 35. This collapse of DHA, EME, and other affiliated DHA societies caused a huge revenue drop for all the stakeholders. He said after the ban the transactions dwindled in DHA, EME and in another affiliated DHA societies the transactions were down to 35. It has resulted in a huge revenue decline for all stakeholders. Talking about DHA, before the recent FBR’s decision regarding valuation of immovable property for taxation purposes, the gap among the FBR rates and deputy commissioner’s rate was as minimum as few thousands. However, the difference after the recent development has stretched from few thousands to over several hundred thousand. let’s take the of DHA Phase 9, the official property value there was Rs 400,000 per kanal. In this price, no filer could buy a property in a majority of the developed societies. According to a dealer, even more than 10 transactions a month would be difficult for all the societies where the rates have valued more than Rs5 million. Another property tycoon from Lahore, the chairman of one the most popular societies of Lahore, believes that the valuation of immovable property for the FBR taxes are aligned with market value but this decision would surely affect the transfer of properties. He pointed his own society, saying that non-filers were already ineligible to purchase one kanal plots because of rates above their exemption limit. Therefore, the valuation would not affect their market. The main issue is the restriction on non-filers by the government on purchasing of property worth more than Rs5 million. He revealed that the dealings of medium valued properties have been limited to 800,000 active filers. However, 209 million citizens were denied the right to purchase most of the property market in the country. Another property dealer from Canal Bank Road near Thokar expressed his concerns saying that the country was already facing a severe shortage of housing, and the government is further creating hurdles for the middle class by various measures. After the recent valuation of property by FBR, owning a house has just become a dream for respectable middle-class families. He also expressed his confusion over the contradicting government policies. He said on one hand government has committed to construct five million houses for deserving ones, and on the other hand, the government is denying the private sector opportunities to construct houses. However, the criteria for transferring government-built houses which undoubtedly cost over Rs5 million (cost of land and deemed property transfer charges included) is still ambiguous. Are the houses going to transfer to filers only? he wondered. He concluded that the FBR is trying every possible opportunity to ensure that the property market and wealth will remain confined in few hands. Almas Hyder, the President Lahore Chamber of Commerce and Industry, who is also a member of businessmen panel of the government, believed that the government should think practically. Almost 99 percent of the properties in Pakistan were registered below their actual value. According to him, the government should announce the amnesty one time for all properties and regulate them on their actual value. Additionally, he also sees the ban on non-filers as discriminative. Backing his arguments, he said the people of AJK and GB are not required to file tax returns. Same goes for agriculturalists. They don’t need to file tax returns against their agriculture income; Pakistani expats also don’t need to file tax returns. These segments of our society were denied their right to purchase property which is unjust. He also enhanced the need for realistic property valuation in order to grant the rights of purchasing property to every citizen of the country without any sort of discrimination. the real estate gurus taking this decision of FBR as an anti-investment action, which has been taken without taking stakeholders onboard. The FBR enhanced the valuation rates of real estate plots on an average by 15 to 25 percent in all the major cities of the country to strengthen tax collection by up to Rs75 billion. Posh areas of the megacity Karachi has seen the enhancement of valuation rate from 15 percent to 110 percent depending on the locality. Hassan Bukhshi, Chairman Association of Builders and Developers (ABAD) said that the rates were revised without taking stakeholders into confidence. “It is a sudden move and we don’t even know that any such exercise is being planned.” Bakhi Added. He also revealed that this association ABAD had proposed the removal of both the FBR and DC rates in order to get the properties booked on their actual transaction worth. “We had proposed that the federal government and provincial government could collect 1.0 percent each as the tax on transactions based on the actual value, as this could discourage under-declaration,” Bukhshi said, adding that their proposals were not even considered. The builders and agents are not expecting any significant fall in housing prices in the middle-low income areas of the urban population. However, they have a keen eye over the market of posh areas as this market is driven by investors. The activities in the property and construction market are already near to zilch due to an unstable economic and political situation. In this situation, the modification in policies on daily basis by the government is like adding fuel to the fire. “There is no buying and selling in the market. This recent revision in the values would further worsen the situation for the industry.” The chairman said. According to the chairman, the real estate industry was the biggest employment creator after the agriculture sector, and if this industry slows down, millions attached with it for their bread earning would be affected. As the chairman ABAD, He confirmed that the decision was under review throughout the country and ABAD is going to announce its future course of action soon. The numbers of activity are near to zero because the investors are driven out and at the same time, mismatch of demand and supply acting as the hurdle in the way of materializing deals. 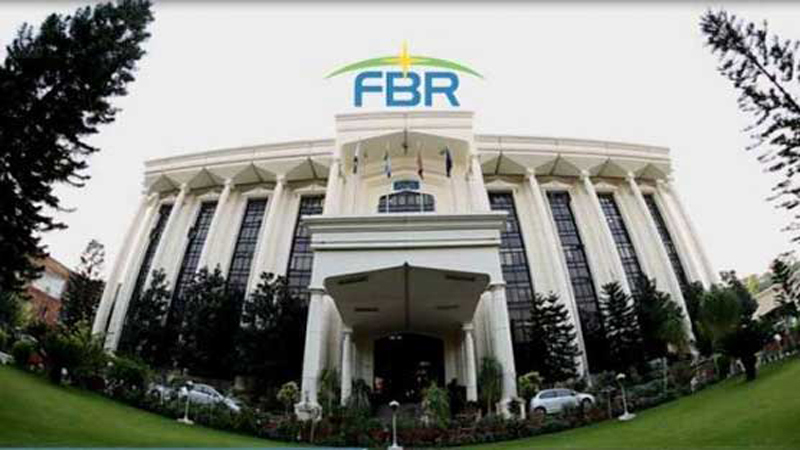 Mirza Ikhtiar Baig, the Senior Vice President Federation of Pakistan Chamber of Commerce and Industry (FPCCI), also expressed his concerns saying that it was unfair for the FBR to take such a measure without consulting the stakeholders. “The industry is already in trouble after 930 commercial buildings in Karachi were given demolition notices. This upward revision in the property values would hurt the industry a lot,” he added. According to Ikhtiar Baig, FBR should have consulted the stakeholders before taking any revenue generation measures to avoid creating any market uncertainty. Not all eyes are seeing FBR’s decision a bad move for the market. Advisor to President FPCCI Mazhar Ali Nasir believes that the decision is appreciable. According to him, this revision in property valuation will discourage the black economy. “Actual property values are still much higher than the recorded values and these need to be increased further going forward,” he said. The real estate market in Pakistan has seen a drastic growth since the 1990s, this has caused the prices sky-high, beyond the reach of common man. The assurance of healthy returns attracted both the investors and households to the arena. Other than this, the undocumented status is something which makes it a convenient center to park unaccounted wealth. “The dollar is trading at around Rs140, discount rates have been increased by 4.5 percent in a year, and now this much increase in the property values. These measures are only going to dampen the investor sentiments,” Mazhar Ali added. Another real estate agent believes that the market is not going to come down anyway sooner. Instead, the cost of purchasing and registering would increase. Here are the three possible ways to increase tax revenue after FBR’s recent property valuation. 1. A purchaser will have to verify that he must have money earned-through legal channels to buy property. If he does not have, then either he will not purchase or will manage to make more money white by way of paying more tax. 2. The seller of the property, if selling his property within three years from the date of purchase, and receiving more white money against the sale of his property will have to declare more profit on the sale of property and will pay more tax. 3. Additionally, stamp duty on registered sale deeds will also be increased due to an increase in valuation and this will benefit the provincial governments. After the failure of provincial and federal governments to sync their valuations according to each other, the FBR has enhanced valuation rates of immovable properties for all urban cities. However, agents feared that the recent decision will have a deep and negative impact on the real estate market. Meanwhile, the Bureau has proposed a mechanism for placing an independent third party to fix valuation rates. But the provinces are not ready to revise DC rates because it’s linked with their rates of stamp duty. Interestingly, in the case of provinces decide to increase DC valuation rates, they will have to reduce the rate of stamp duty, And they will never bother to do so. The reason behind is they are used to with their existing system and don’t seem ready to reconcile their valuation rates with the center. “Even the FBR has sought technical assistance from the World Bank (WB) to suggest mechanism after studying valuation system placed in both developed and comparable economies including the Indian system in this regard,” a top FBR official confirmed to The News on Saturday. Sources said they increased average valuation rates to bring uniformity and after analyzing market value rates in different cities of the country. The only possible reason that may cause FBR to rectify this valuation, would be if they found any major discrepancy in current valuation. They still believe that market rates are approx 40 percent higher than average rates specified by the FBR. The FBR is intended to further enhance the valuations in coming July 2019. According to the president of Association of Builders and Developers (ABAD) Arif Jeeva, they proposed to the government to bring unified valuation rates but decrease the FBR taxation rate to 1 percent from the existing 3 percent for filers and 6 percent for non-filers. Arif Jeeva said they had decided with former finance minister Miftah Ismail that the FBR would charge 1 percent tax and would have the power to buy back the property if someone would show less value but it was never implemented. He said the foreign investors had got confused with three different valuation rates, as it would discourage potential investors. Under S.R.O.120(I)/2019, the FBR has notified value of immoveable properties in respect of 196 categories of areas of Karachi. As per S.R.O.118(I)/2019, the FBR has notified values of immoveable properties in respect of areas/categories of Jhang. The FBR has also revised values of immovable properties of 538 areas of Gujrat. In 701 areas of Sialkot, the FBR has revised values of immovable properties. The FBR has revised values of immovable properties of 31 areas of Sargodha under S.R.O.128(I)/2019. In 338 areas of Sahiwal, FBR has revised values of immovable properties. Under S.R.O.126(I)/2019, the FBR has notified the value of immoveable properties in respect of 28 areas/categories of Rawalpindi. The FBR has notified values of immoveable properties in respect of 426 areas of Quetta. The FBR has revised values of immovable properties of 339 area of Peshawar under S.R.O.124(I)/2019. The FBR has notified values of immoveable properties in respect of 593 areas of Multan. The FBR has also revised values of Immovable Properties in 17 areas of Mardan. Under S.R.O.121(I)/2019, the FBR has notified value of immoveable properties in respect of 1234 areas/categories of Lahore . The FBR has also revised values of immovable properties in 892 areas of Jhelum. Under S.R.O.117(I)/2019, the FBR has revised values of immovable properties in 90 areas of Islamabad. In case of 26 areas of Hyderabad, the FBR has notified value of immoveable properties in respect of areas/categories of Hyderabad.